Oversized, buildable lots in the covenant protected Voyagers Landing Subdivision just along the Fox River. This is a quiet, nearly serene location on the northern edge of the city. Convenient location puts you near the public school system as well as the city park system. Be sure to inquire about the citys building tax incentive. Enjoy a daily stroll along the Fox River! This property is listed in more than one place. See it here, and here, and here, and here, and here, and here. In Berlin, Huron St to North Wisconsin to East on Waushara St to East on Voyagers Trail on left. 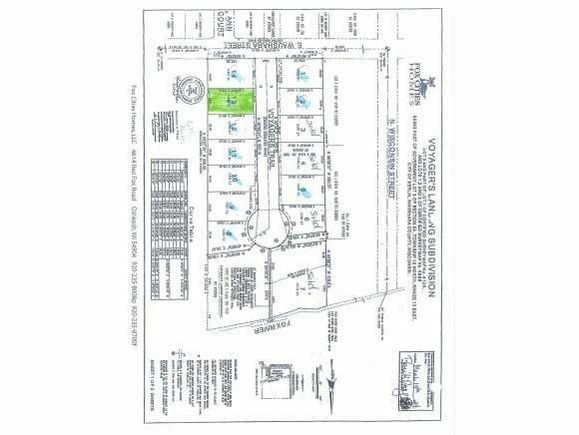 The details on VOYAGERS TRAIL: This land located in Aurora, WI 54923 is currently for sale for $29,980. VOYAGERS TRAIL is a – square foot land with – beds and – baths that has been on Estately for 980 days. This land is in the attendance area of Berlin High School, Clay Lamberton Elementary School, and Berlin Middle School.